Author:Susanna Tee,Fiona Biggs. M&S Fish & Seafood Bible. We appreciate the impact a good book can have. We all like the idea of saving a bit of cash, so when we found out how many good quality used books are out there - we just had to let you know! 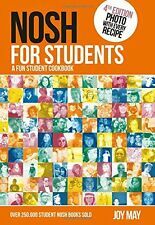 Nathan Outlaw's Everyday Seafood 100 Fish Recipes For Home Cooking Hardback New. PUBLISHER:Selectabook Ltd. TITLE:Classic Fish Cooking. AUTHOR:, Linda. Covers may vary and all of our books are second hand unless otherwise stated. ACCEPTABLE - May have major wear and tear. Very well read. By Findus. Spiral bound Hardback no dustcover ,a few marks to cover. THE BOOK OF FISH COOKERY. 150 RECIPES. Step By Step Microwave Fish 'n' Seafood. Title : Step By Step Microwave Fish 'n' Seafood. Binding : Hardcover. Books, Comics & Magazines Other Fiction Books Other Non-Fiction Books Childrens & Young Adult Books General Fiction Books Children's Fiction Books. Great Grenada Fish And Seafood Recipes. Condition is New. Dispatched with Royal Mail 2nd Class. Title: Great Fish and Seafood Cookbook Item Condition: used item in a good condition. Published On: 1992-01-01 SKU: 8765-9782894330197. Will be clean, not soiled or stained. Fish & Seafood. Title : Fish & Seafood. Product Category : Books. Binding : Paperback. Condition : Very Good. Signed : False. The Great Cornish Fish Book. A feast of recipes, tales and discoveries from Cornwall’s coastal larder. and the National Lobster Hatchery, Padstow, who help to ensure the sustainability of fishing for future generations. Item ready to be dispatch! Classic Fish Cooking. Title : Classic Fish Cooking. Authors :, Linda. Product Category : Books. Binding : Paperback. Condition : Very Good. List Price (MSRP) : 1.99. Publisher : Selectabook Ltd. Step By Step Microwave Fish 'n' Seafood. Title : Step By Step Microwave Fish 'n' Seafood. Binding : Hardcover. Product Category : Books. Publication Date : 1995-01-01. First Edition : False. Condition : Like New. M&S Fish & Seafood Bible. Title : M&S Fish & Seafood Bible. Binding : Hardcover. Product Category : Books. Condition : Very Good. Publisher : Marks & Spencer. Our Seaweed Cookbook contains 70 delicious (!). seaweed recipes. But, it is much more than just a cookbook. With an introduction to different seaweed species, harvesting and processing and other interesting info, it is a comprehensive guide for anyone wanting to dive into the wild and wonderfully mysterious world of seaweeds. All Color Wonderful Ways to Prepare Fish & Seafood. Title : All Color Wonderful Ways to Prepare Fish & Seafood. Dust Jacket : False. Product Category : Books. Binding : Paperback. Condition : Very Good. TITLE:Larousse Gastronomique Recipe Collection: Fish & Seafood. VERY GOOD - Very Good condition with no significant faults. Clearly used but very few minor defects. ACCEPTABLE - May have major wear and tear. Since opening the hugely popular Pear Café nine years ago, Elly Pear has been on a quest for good food and new ideas. Feel Great. All Week Long. Fish & Seafood. Title : Fish & Seafood. Authors : Judith Ferguson. Publisher : Tiger Books. Binding : Hardcover. Product Category : Books. Condition : Very Good. Signed : False. Title: Classic Fish Cooking. Author(s): Linda. Binding: Paperback. Condition: Good. Product Details. MAZI: Modern Greek Food. Tired of outdated perceptions of typical Greek food, Mazi is on a mission to revolutionize Greek cuisine. Prawn on the Lawn: Fish and seafood to share. Title:POTRAWY Z RYB. Author: Henryk Dębski. hardback: good / signs of wear and storage. Language:Polish / książka w j. polskim. Fish is currently the rockstar ingredient - prized for its healthy benefits - but there is still a lot of fear surrounding its preparation and cooking. A collection of 120 fish and shellfish dishes, all made using accessible yet sustainable fish - from salmon and trout to bream and bass to mussels and crayfish. Author: Dorota Wellman, Karol Okrasa. Title:RYBY SĄ SUPER. Przepisy na ryby i owoce morza. hardback: very good / slightly signs of storage. Step By Step Microwave Fish 'n' Seafood. Title : Step By Step Microwave Fish 'n' Seafood. Check out our EXPLOSIVE deals for yourself. Binding : Hardcover. Product Category : Books. Condition : Very Good. A wonderful original hardback book with lovely coloured pictures and informative text. Good condition. Essentail Fish & Seafood, From Ocean to Table Collated by Marks and Spencer, unwanted gift. 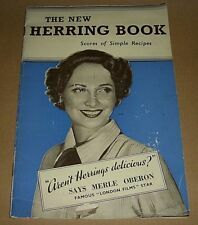 There are recipes for Herrings and Kippers. There is no publishing date but I would say this is from around the late1930's but she was linked to the BBC from the 1930's through to the 1950's, Slight wear and markings to covers and a tear at the bottom centre. Plus it's incredibly healthy and fast to cook. Like all top chefs, Nathan Outlaw is constantly evolving his cooking and creating fantastic new dishes in his kitchens. Nathan begins each with an explanation of the particular technique, revealing the secrets of his simple approach to it, and detailing the varieties he considers best suited to the technique. Fish & Seafood. Title : Fish & Seafood. Binding : Hardcover. Product Category : Books. Condition : Very Good. Signed : False. How To Lose Weight For Good: Slow Cooker Diet For Beginners: Healthy Rapid Weight Loss The Natural Way. The second Magpie Cafe cook book, in paperback, by Ian Robson & Paul Gildroy. 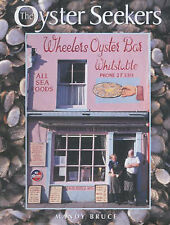 From the famous Whitby cafe restaurant, this is a fish and seafood cookbook predominantly, with classic deserts at the back. I have barely used this book and is in like new condition. I’m having a good clear out! Erscheinungsjahr 2006. Format Broschiert. If you are satisfied i 'D appreciate a nice review. We Then work together to find a solution. rate not equal to Negative, even if you are 'evil' at first understandable way. In 2013, the Grand Central Oyster Bar & Restaurant will celebrate its 100-year anniversary. This book celebrates 100 years of great food, complete with stories, photographs and recipes for the restaurant's favourite dishes. Rate does not equal negative, even if you "evil" are at first understandable way. rate not equal to Negative, even if you are 'evil' at first understandable way. This is no exception, but almost the norm.